Whether your deceased father used his credit cards sparingly or left behind a huge debt, you are no doubt wondering if you're responsible for the payment. That is going to depend on whether he left assets behind and whose names were on the account. Even when it isn't your legal responsibility to pay off your father's debt, under certain circumstances, ignoring the debt could affect your credit. It's the person or people who signed the original credit application who are responsible for the debt. If your father applied for credit in his name only, then the credit card debt is his personal debt. That means no other individual is responsible for paying off remaining charges. If someone else, like you or your mother, cosigned for the card, then the debt becomes the surviving cosigner's responsibility. That applies even if your father was the only one to use the card and even if the cosigner was unaware of the charges. While you may not technically be responsible for the debt, you can't ignore the charges and take your inheritance from your father's estate. As part of the probate process, debt holders are notified and can bring forth claims. While the order of payment priority is set by individual states, generally, credit card debt comes after a long line of other payments, including funeral expenses, medical bills and taxes. If there is anything left after that, credit card debt must be paid off to the extent possible, even if it cleans out your inheritance. Your father may have put you or someone else on the card as an authorized user. Generally, in this situation, the authorized user has a separate card in his name and can add charges under his signature. However, the card owner -- in this case your father -- is responsible for all payments. But it can get tricky. First, you should read the credit card agreement carefully to make sure the authorized user has no responsibility for payment. Second, the purpose here often is to allow the authorized user to build credit based on the cardholder's payment history. If you don't pay the outstanding card balance, it could reflect on your credit reports. 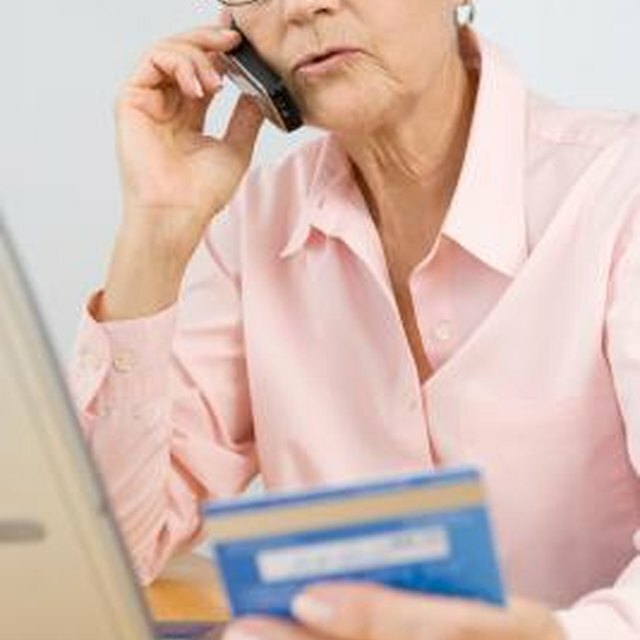 Can an Authorized Credit Card User Still Use the Card if the Cardholder Dies? Are Authorized Users on a Credit Card Responsible for Money Owed? Under the federal Fair Debt Collection Practices Act, card companies cannot harass you for payment, but you may have to notify them in writing if you want them to stop. If your father's debt does show up on your credit report as an authorized user, Steve Bucci, writing for Bankrate, suggests disputing it in writing with the credit reporting agencies. However, authorized users can be held responsible -- and face criminal charges -- for using the card after the cardholder's death or knowingly running up charges when the cardholder is near death and has diminished assets. Mystatewill.com: Are Family Members Required to Pay the Deceased's Unsecured Debt? Bankrate: At Death, Who Inherits Credit Card Debt?